What does Opel, Nissan and Renault have in common. A van, that’s what. In Renault’s case it is called the Trafic. 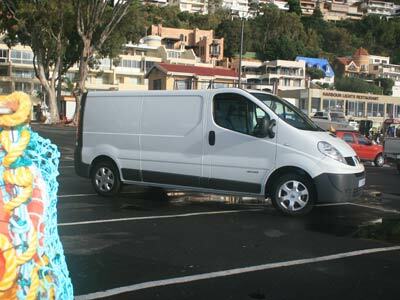 The Trafic is a medium size van with 6m³ of cargo space and a 1.2 ton payload. That is a very useful load. Access is from a sliding door on the left side and a double door at the back which swings open wide. The floor is low making it very easy to load and unload. The 1.9 dCi turbodiesel engine delivers 74kW at 3 500 rpm and 240Nm. They claim a combined consumption of 7.9 litre per 100km, but a more likely average consumption 0f around 8.5 litre/100km can be expected. At 120km/h you will get around 7.4 litre/100km. The 90 litre tank gives you a good range. She climbs hills without any problems and accelerates well for a van. Maximum towing weight unbraked is 750kg, braked 2 000kg. 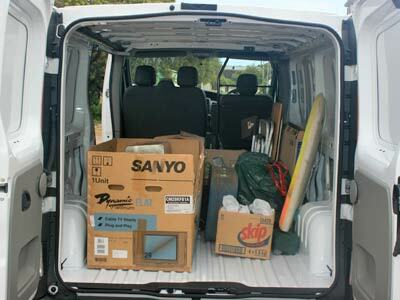 The van is easy to drive and easy to use. 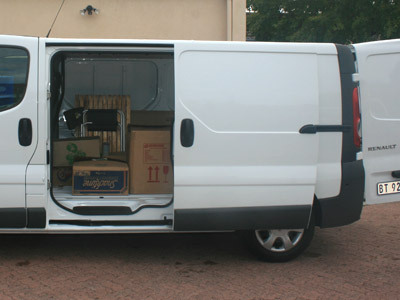 Loading and unloading is easy due to the low floor height and the two large doors. The cabin is well laid out with comfortable seats, a good driving position and a number of storage shelves and bins. Radio, aircon, lights all work well and are easy to use. Getting in and out of the van is a bit of an issue. The driver will tend to grab the steering wheel to hoist himself in as their is no ‘A’ pillar grip. The passenger also had a bit of a scramble. Driving the Trafic is a breeze. Brakes work well, steering is accurate and she accelerates quite well. Clutch and gears are easy to use. The 6 speed gearbox really helps to get cruising speed fuel economy. I did not like the lack of a bulkhead or partition between the cab and the cargo area. Speaking of which. The finish in the cargo area is a little rough and ready. Most of the back is a single wall with just fairly flimsy braces holding everything in place. It would be a good idea to panel the interior with wooden or rubber strips and put non slip rubber on the floor. The Trafic comes with a 6 year anti-corrosion warranty, a 5 Year / 150 000km mechanical warranty and a 5 year / 100 000km service plan. The basic price is R249 900. The Opel Vivaro, its direct competitor, costs around R252 000, and is available as either 1.9 DCi or a 2.0 petrol. 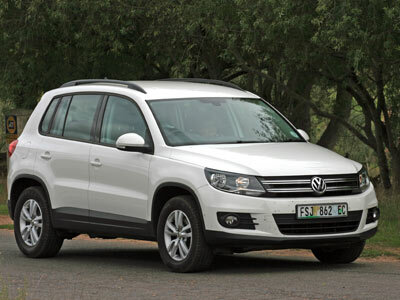 VW offers the Panel Van 2.0 TDI 75kW LWB at R255 877 but excludes a service plan which costs R9 404 for the 90 000km option. The Hyundai H1 at R269 900 seems to be the most sturdy van and should be investigated before purchasing one of the others. The big advantage of the Opel is the additional sliding door on the right and the bulkhead behind the seat between the load area and the cab. The Vivaro also has front fog lights. Both are built in the same factory and the diesel engines are the same units. It seems to me that the Opel may be the better deal. Drive both before deciding. Also consider which brand gives the better service in your area. 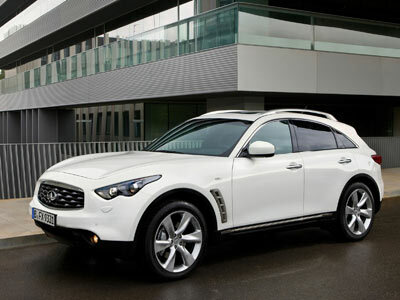 Nissan’s luxury performance brand, Infiniti, will sell its range of sedans, coupes and cross-overs in South Africa from June 2012. It remains to be seen if it can take on Toyota’s Lexus. Infiniti is the luxury automotive brand from Japan with a model line-up of sedans, coupes, SUVs and crossovers featuring good performance, emotive design and cutting-edge technology. Initially, the Infiniti model range for South Africa will comprise the Infiniti FX performance SUV, EX luxury compact SUV, the Sporty G Coupe, the G Cabriolet and the Infiniti M luxury sedan. The first Infiniti centres will open in Hatfield, Pretoria and Melrose Arch, Johannesburg in mid-2012, followed by Durban and Cape Town, which will open in the fourth quarter of this year. Infiniti has already won a number of safety awards – a 2010 Euro NCAP Advanced Award for road safety innovation for its potentially life-saving Lane Departure Prevention (LDP) system, which is included in many models in the range; and a 2009 five star Euro NCAP award for the Infiniti FX, which received a 99% score for its advanced safety systems in the crash test programme. 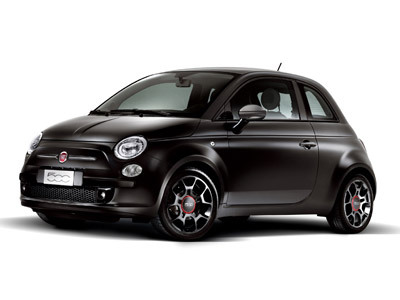 The Fiat 500 Matt Black has a matt black paint finish with grille mouldings, door handles and door mirrors finished in a metallic effect. Its 16” alloy wheels are also coated in matt black with a red coach line and red brake callipers creating a sporty accent. You are going to pay for all of this. 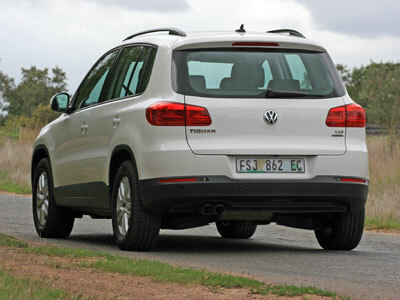 Although comprehensively equipped, it is a little dear at R185k. Love to see one on the road though. The Matt Black features a host of standard equipment unique to its segments including climate control, rear park distant sensors, electrical anti-dazzle mirror and a premium Hi-Fi Interscope Sound System Radio CD / MP3 with 6 speakers and a sub-woofer. As a launch offer to the first 50 owners of the 500 Matt Black, Fiat will offer its premium Tom Tom navigation system as standard equipment. The system works in conjunction with Fiat’s Blue&Me system. This fully integrated infotainment system with practical colour touch screen can be used to manage a mobile phone, a navigation system and all the necessary driving information. On the technical front, the Matt Black is powered by Fiat’s 74 kW 1.4-litre 16v Euro 5-ready engine mated to a six-speed manual gearbox. Maximum torque is rated at 131 Nm at 4250 rpm. This results in a 0-100km/h sprint time of 10,5 seconds and a maximum speed of 181 km/h. Fuel consumption is around 8,2 l/100km in the urban cycle; 5,2 l/100km in the extra-urban cycle and a very credible 6,3 l/100km in the combined cycle. Emissions are 149g/km. Safety is of the highest standard with a full complement of passive and active safety systems including 7 air bags, ESP (stability control), traction control, Hill holder and ABS with EBD. All 500s come with a 5-star EuroNCAP rating. All Fiat 500 models come standard with 30 000 km service intervals and full after-sales support. Fiat offers a three-year / 100 000 km Warranty (three years on paintwork and five years on rust anti-perforation) as well as a five-year / 90 000 km service plan as standard on the new Matt Black. Jaguar has confirmed that it will bring an all-new sports car to production; the F-TYPE. The C-X16 concept showcased in September 2011, will be developed into an all-new Jaguar sports car to be called the F-TYPE, and it will be unveiled in production form later this year. The F-TYPE will launch as a convertible, and a strict two-seater with the focus uncompromisingly on delivering driver reward. A range of petrol engines will be available – including a new power plant family. The F-TYPE will join Jaguar’s existing range of cars – the XF saloon and Sportbrake, XJ saloon and XK coupe/convertible. Full F-TYPE technical and range details will be announced later in 2012. It will go on sale in mid 2013. GMSA has announced that it will offer two model variants of the GTC at launch, the Astra GTC 1.4T Enjoy and the 1.6T Sport. Both offer the latest in small capacity turbocharged petrol engine technology from Opel. The Astra GTC 1.4T Enjoy offers maximum power of 103 kW @ 4900 r/min and peak torque of 200 Nm over the wide range of 1850 – 4900 r/min. The Astra GTC 1.6T produces 132 kW @ 5500 r/min with 230 Nm of torque available between 2200 and 5400 r/min. In both models drive is via a 6-speed manual transmission to the front wheels. Unlike most other three-door versions of existing hatch competitors the Astra GTC has been styled as a stand alone model in the range. Although based on the Astra platform, the only common exterior elements shared with other members of the Astra family are the exterior rear view mirror surrounds and the radio antenna. To define the dramatic profile of the vehicle the designers limited themselves to the use of just three key styling lines to create tension and the impression of a sculpted form. The first of these lines is a fine one that sweeps downward from the side door to the bottom of the rear fender and energises the appearance of the body side. A second styling line encapsulates the door handle and stretches to the rear, emphasising the Astra GTC’s dramatic stance by spreading the surfaces between a fine undercut and a broad shoulder. The third styling line is emphasised in chrome and follows the clean, sporty silhouette of the roof to accentuate the side window profile and guide the eye to the integrated spoiler. The shoulder element of the GTC is the most dramatic. Its powerful design provides the car with imposing proportions and a purposeful presence on the road, highlighting the low, road-hugging stance of the vehicle. The Astra GTC features Opel’s advanced HiPerStrut front suspension, the first time that this system has been implemented on an Astra model. This system was first introduced on the Opel Insignia OPC mid-sized performance model and uses the Astra’s original suspension pick-up points but reduces the kingpin inclination angle by 44 percent and shortens the spindle length by 46 percent compared to the McPherson strut system fitted to other Astra models. These features assist in a significant reduction of torque steer – a common occurrence in high-performance front wheel drive cars. The HiPerStrut front suspension geometry allows the Astra GTC driver to fully enjoy the high performance of the vehicle without the steering being compromised by torque steer under hard acceleration and when changing gear. 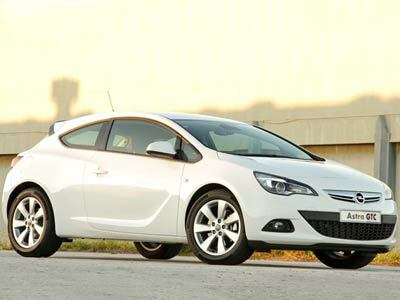 Compared to the regular Astra models, the GTC is lower – by as much as 15mm, has a 10mm longer wheelbase at 2695mm, and a wider track – increased 40mm at the front and 30mm at the rear. All of this adds up to an aggressive, lower ‘planted on the ground’ look for the Astra GTC and improved handling. The GTC’s steering is by a rack and pinion system with speed sensitive electronic power assistance. In order to ensure the optimum level of driver feel and steering feedback the electric power assistance motor is mounted directly on the steering rack, as opposed to the usual mounting position on the steering column. 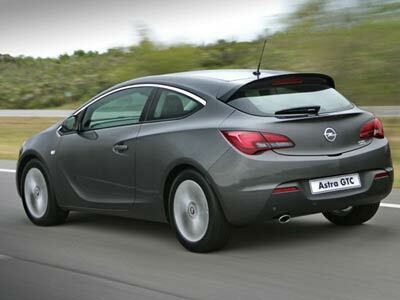 With the Opel Astra GTC there is no compromise in functionality despite its coupe design. The Astra GTC offers comfortable seating for five adults with a flexible luggage compartment that will hold between 380 litres and 1165 litres – more than 100 litres more than other vehicles in its class – depending on the seat configuration. 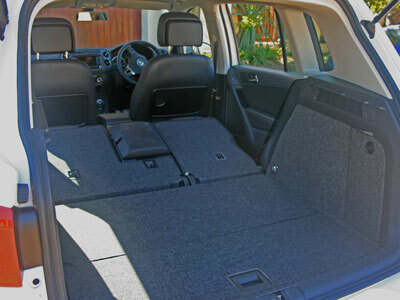 There are numerous additional convenience storage areas inside the vehicle.